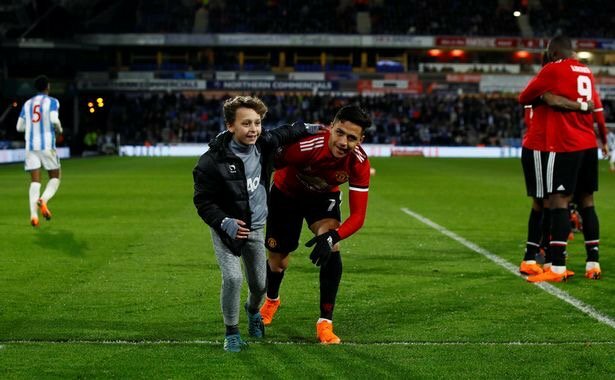 The Red Devils of Manchester don advance to the quarter-final stage of FA Cup after dem knack Huddersfield Town 2-0. The team wey United go face for the next round na Brighton. 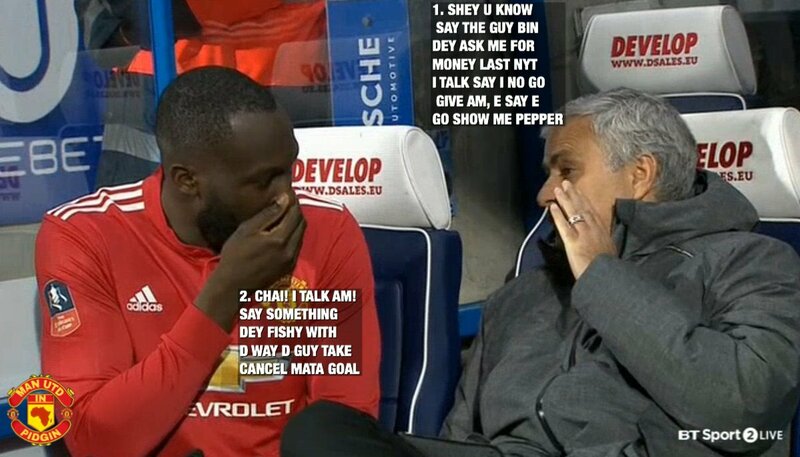 The person wey score for the Reds na Romelu Lukaku. E score one for first half, and e score anoda for second half. The first thing wey we observe na say Romelu Lukaku don work on himself. Na the best game wey i don see of am this season. Hin link up play bin dey perfect, hin hold up play bin dey perfect and hin touching bin make brain. Now wey e don score 2 goals, we hope say e go build confidence as United need am at hin next week against Sevilla and Chelsea. Another thing wey we observe na say VAR na scam. The goal wey Juan Mata score na clean On-Side but as Ref and VAR dey craze, dem cancel the goal. E be like say the person wey draw that VAR line dey receive BJ. 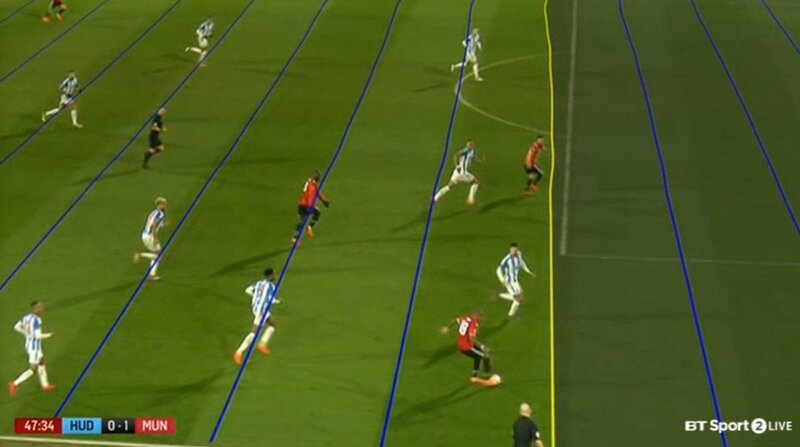 The fact say Premier League go use VAR next season, na real cause for concern because VAR dey make mistake. Another thing wey we observe na say Manchester United no play well for first half, but their performance con improve for second half. Apart from the goal wey Lukaku score and the goal wey Mata score (wey dem cancel), na Huddersfield Town run the whole show for first half. If no be for Chris Smalling, dem for don equalize. Make i talk truth, na the best performance wey we don see from Smalling this season, e impress me. Another thing wey we observe na say Manchester United fit play counter-attack. The two goals wey United score today, na against the run of play. Na Mata do assist for the first, while na Sanchez do assist for the second. The Second goal na mad counter because e bin start from Huddersfield corner. The kind understanding wey Lukaku and Sanchez dey build make brain, dem fit play together. Their link up play na die. The last thing wey we observe na say Scott McTominay don step up hin game and if e continue like this, e fit fill Michael Carrick’s boots (after e retire). I dey impressed with am very well. Na only few mistakes wey e make today (sloppy passes), but overall, hin performance madt gan. We dey pray make e score hin first United goal soon.